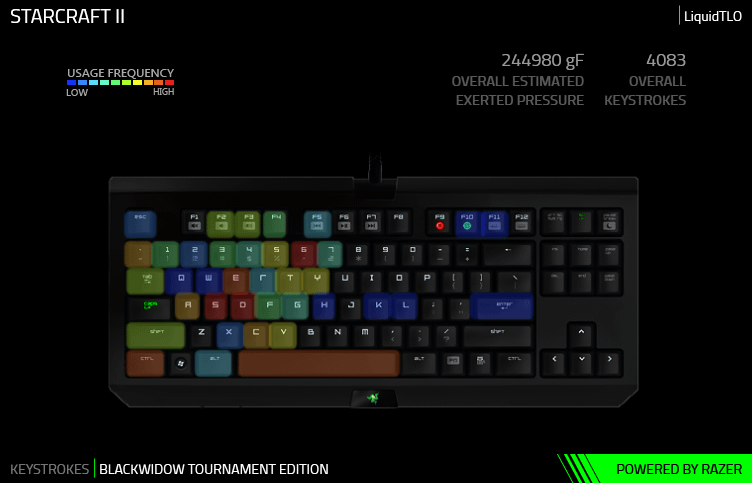 Razer’s BlackWidow Ultimate 2014 Stealth Edition Gaming Keyboard offers innovative features and excellent performance for the price. Choosing the right keyboard is often one of the most important aspects when building or buying a new desktop. Depending on your needs and budget, keyboards can range from $10 to $250, and many are designed with a particular purpose in mind. Since I just recently ditched my 27″ iMac and built a new PC, I sought after a keyboard model that remained simple yet appealing and suitable for frequent gaming sessions, as well as business use. 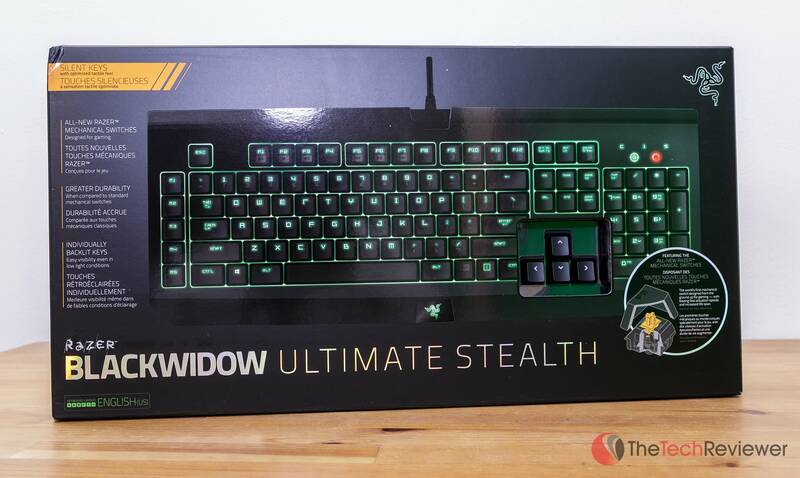 After a bit of research, I decided on Razer's BlackWidow Ultimate 2014 Stealth Edition. With a $129 MSRP, the BlackWidow Ultimate 2014 Edition covered all the bases with its sleek look, clever design, and excellent performance. There are three different variants offered in the BlackWidow Ultimate 2014 line: the regular PC version, a ‘Stealth' PC version, and lastly a version for Mac users. Throughout the remainder of this article review, I'll offer my personal experience using this keyboard on a daily basis for the past month and a half. While my experience is solely with the Stealth Edition, my opinions will be comparable to the standard PC and Mac versions except for a few minor differences. Rest assured, the following conclusions are based strictly on my hands-on experience with the product with no bias or outside influences having any affect on the outcome of this review. 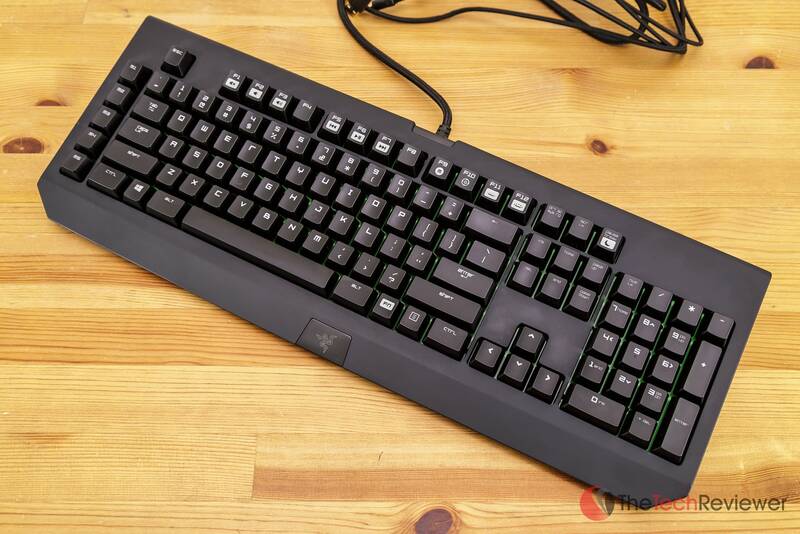 Razer designed the BlackWidow Ultimate 2014 to resemble a traditional keyboard, so there aren't any noticeably unique attributes to its appeal. This model sports a matte black finish that is far superior to the glossy, fingerprint prone coating found in previous BlackWidow generations. Since it measures in at 18.5″ by 7.2″ and weighs a hefty 3.4lb, it is best suited for stationary use and not ideal for an “on the go” style. The keys are arranged in the typical QWERTY layout with an extra column on the left that contains five dedicated macro keys in addition to a full number pad on the right side. 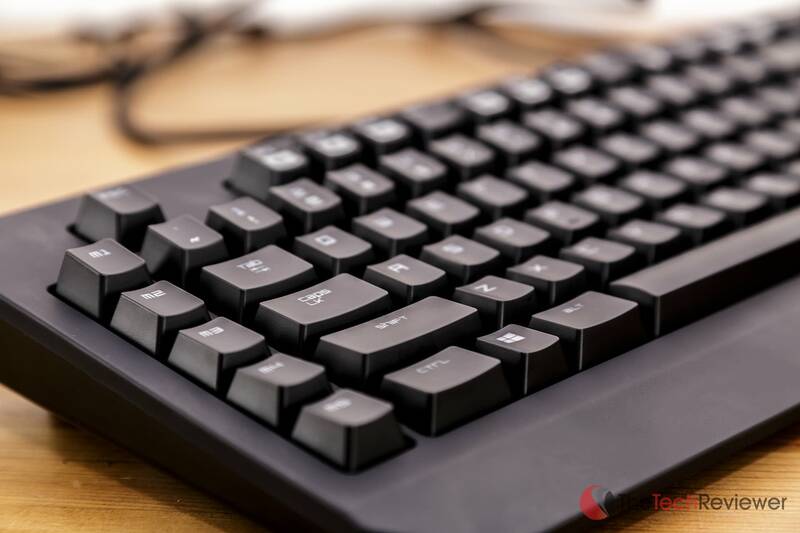 On the top row, you get the standard function keys (F1-F12) which have secondary uses including adjustable keyboard brightness, audio volume, and music playback functions. Razer opted for a unique font choice for the key identifiers found on each key. While it gives it more of a gaming keyboard feel, I'm not a big fan of this choice of font as the characters are a bit too bulky and odd looking for my taste. Each row of keys is tiered slightly higher than the previous making for a more ergonomic and comfortable typing experience. The keys themselves are also matte black, but they have a slightly different feel than the exterior chassis. Beneath each key is a mechanical switch that has been engineered to actuate at the most optimal distance for enhanced precision and responsiveness. 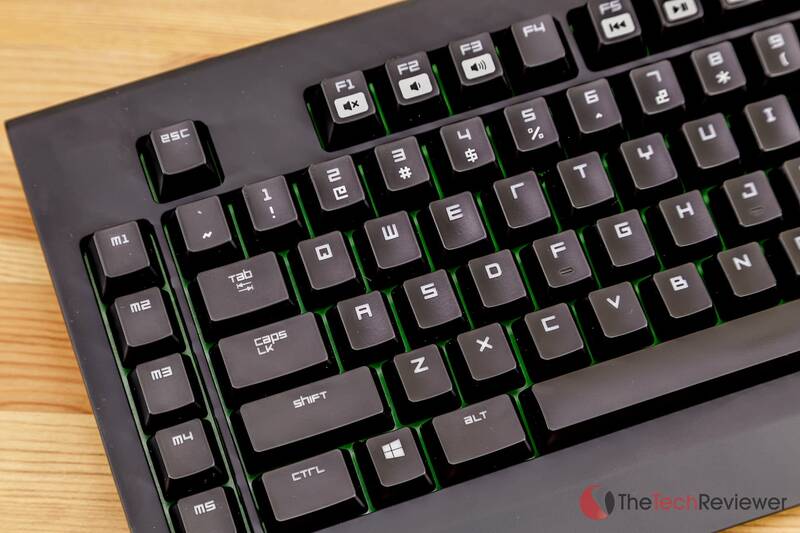 The switches used within the BlackWidow series are rated to handle over 60 million keystrokes, so long-term performance is nothing to worry about. The main difference with the Stealth Edition is the type of mechanical switch that is used. In the Stealth edition, you get an orange switch with 45g of actuation force. These are subdued for quieter operation in comparison to the green 50g switches used in the standard BlackWidow Ultimate and Mac variants. As expected, the orange switches don't result in a clicky sound yet the keyboard still isn't silent by any means. The resulting typing sound is much more tolerable for a shared office environment yet still has that fulfilling keystroke sound that many enjoy with their typing experience.  Another advantage to the Ultimate Edition is the use of an individual back-light for each key. The intensity of the backlight is adjustable within 15 levels of brightness (or can be disabled completely) so this model is suitable for use in both well-lit or dark conditions. The only back-light color offered with this model is the signature Razer green hue. I would have personally preferred a blue, red or white option, but the green looks great beside my latest PC build, and the variable lighting keeps it from being too overwhelming. On the right side of the chassis, there is an integrated USB 2.0 port as well as a microphone and headphone jack. In order for these to work, the opposite end of the cable splits into two male USB connections as well as two male audio jacks which all harness gold plated connections.. You can either plug in all four to receive full functionality of the integrated ports or just plug in the USB power to the keyboard and forget about the ports. Speaking of the cord itself, Razer made sure to not skimp on quality. Similar to my DeadAdder mouse, the cord is covered with a braided fabric material for greater protection and versatility. There are two feet on the bottom of the keyboard that fold-out to position the keyboard at a more suitable operating angle. It would have been nice to see a broader range of height adjustment options offered via these feet, but the default option is sufficient after a bit of getting used to. One thing I love about Razer's products is their subtle use of branding. With many gaming accessories, you'll often see manufacturers go overboard when incorporating their logo within their product lines and the resulting look comes off as cheesy. 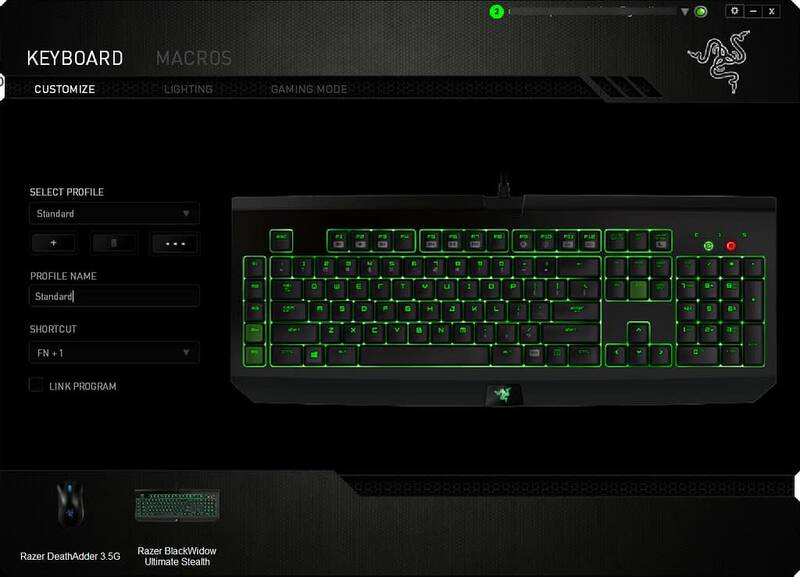 Razer only added a small illuminated logo in the bottom center of the keyboard and a medium-sized badge on the bottom of the keyboard alongside the serial number and product information. The BlackWidow Ultimate Edition works in conjunction with Razer's popular Synapse software for settings and customization options. This piece of software is a sensitive topic with the gaming community as it seems to be a “love it or hate it” deal. Judging my experience with Synapse, I am a big fan. The user interface is simple, and it couldn't be much easier to customize and assign new macro values to any key on the keyboard. Should you wish to enable macros “on the fly”, there is a separate ‘Macro' tab used to setup this type of functionality. What is most convenient about the macro feature within the Synapse software is that you can create different profiles and link them to specific programs. By doing this, it is possible to assign different macros to the same set of keys and the correct profile will be triggered depending on the active program.  The Synapse software caters heavily to gamers with a “gaming mode” that disables the Windows Key among others to prevent gameplay interruptions. Razer also recently debuted a new free add-on dubbed ‘Stats and Heatmaps' that brings extensive reporting features for post-game analysis. If you're someone who wants to go the extra mile to improve their gameplay, this add-on is a dream come true. Prior to using the BlackWidow on a daily basis, I had been used to Apple's wired keyboard which is an entirely different beast. The key design and operation offer a drastically different typing experience from one another, so it took me a few days to get used to the BlackWidow. It is true that the keys on the BlackWidow Ultimate have much more depth to them in comparison to the Apple keyboard, but this doesn't necessarily result in a slower typing experience. Keystrokes are registered about halfway through its maximum travel distance so the result feels very natural and fluid. Gaming on the keyboard has been overwhelmingly positive experience without any hiccups like missed keystrokes or software glitches. The mechanical switches offer increased responsiveness in gaming scenarios where aspects like quick double tapping or multi-key commands are crucial. Razer is known for going above and beyond when it comes to the gaming performance of their peripherals, and it is evident throughout my experience with this keyboard. While the macro potential is ideal for gamers, I've found the five dedicated macro keys are very useful for business-related tasks as well. For example, I've already bound several multi-key commands for easy access when in programs like Lightroom 5, Photoshop, and Premiere Pro. This type of functionality has greatly improved my workflow speed especially when I'm used to performing the same commands over and over on a regular basis. 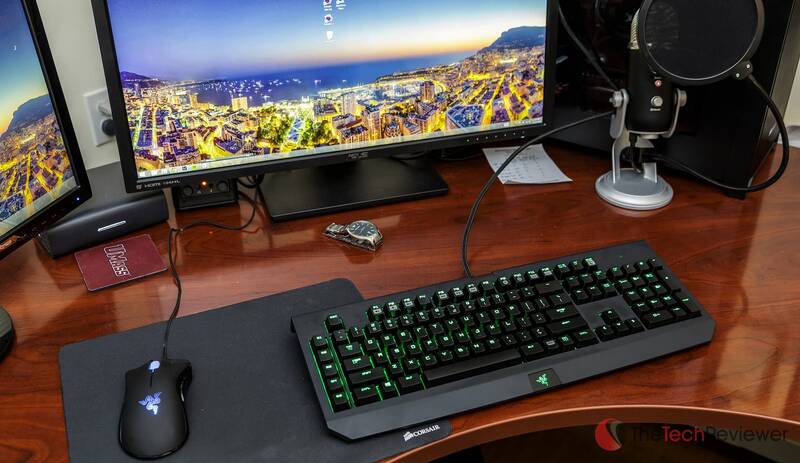 Razer's BlackWidow Ultimate 2014 Gaming Keyboard is the total package. Its simplistic yet sleek design should suit any consumer's taste, and the adjustable green back-light is ideal for dimly lit environments. Razer's Synapse software adds endless macro possibilities for both gaming and business use which have proven to help improve gameplay or workflow efficiency. The mechanical switches offer an excellent feel to each keystroke, and the quality of the typing experience reflects this. With the $129 MSRP for the Stealth Edition, this keyboard is a great buy despite it lacking all the unnecessary bells and whistles of some competitors. I would recommend shopping around for the best price as retailers like Amazon are currently selling this model for around $105 thus raising the value on the dollar amount significantly. If you happen to have an even larger budget, Razer also offers the BlackWidow Chroma for $170 that can harness over 16.8 million different backlight color options.